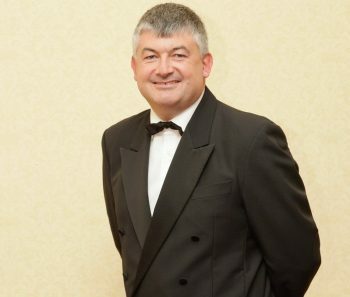 John Parrott is an English professional snooker player. He won the World Snooker Championship in 1991, defeating Jimmy White in the final. Two years earlier he had lost 18-3 to Steve Davis, the heaviest final defeat in modern times. He repeated his win over White to add the UK Championship title later that year, one of only 3 players to achieve this. He turned professional in 1983 and he made his televised debut as a professional during the 1984 Lada Classic which he played Alex Higgins in the Last 16 of the competition in front of a packed house at Warrington near his home town of Liverpool. He then caused a stir when he won the match 5-2. He then beat Tony Knowles in the next round before losing to Steve Davis in the semi-finals. By then, Bookies had him to be tipped the World Snooker Champion within 5 years (it took him seven years). He took his first ranking title in the 1989 European Open, and won this tournament again in 1990. John also boasts 14 consecutive seasons in the top 16 of the snooker world rankings eleven of them in the top 6 . From 1984-2004 he was ever-present at the World Championship, reaching at least the last 16 every year from 1984-1995, but he failed to qualify in 2005. Since his 1991 victory he has never again reached the semi-finals, but lost in the quarter-finals seven times between 1992 and 1999. Only in 1998 did his conqueror reach the final. Overall, John has won a total of nine world ranking events, which is seventh on the all-time list behind Stephen Hendry, Steve Davis, Ronnie O´sullivan, John Higgins, Mark Williams and Jimmy White. Also, his 1991 triumphs in the World Championship and UK Championship make him one of only five players to win both of snooker´s two most prominent ranking titles in the same year. He has come through the qualifying event for the world championship a record 10 times. In 2007 he reached the last 16 of the World Championship for the first time in 7 years, after victories of James Leadbetter, David Gray and Steve Davis. A record ten of John´s World Championship matches have gone to a final-frame decider – he has won 7 of these. Also, John Parrott is the only player to have recorded a “whitewash” in the World Championship final stages – he beat Eddie Charlton 10-0 in the first round in 1992. He didn’t have it all his own way, though. Due to Hendry´s dominance, John was the runner-up at the Benson & Hedges Masters on three occasions within a four-year span, and never won the title. He spent 3 successive seasons at #2 in the World Rankings. He has compiled 217 competitive centuries during his career, 8th on the all time list. Top snooker player from Liverpool, who also became a television personality as a popular team captain on the BBC sports quiz programme “A Question of Sport”.